If you are new to 3D printing and 3D modeling in general it is normal to start your first steps in 3D printing by downloading and printing models that other people have shared on the Internet. But soon enough you would want to start doing more like doing small modifications to models that you have download and even designing your own simpler 3D models to print. 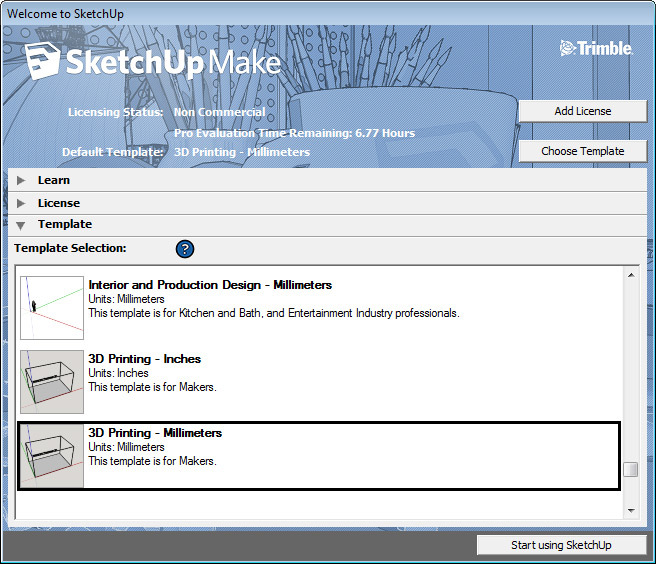 A good starting point to people that have no previous experience is 3D modeling is the SketchUp software, previously owned by Google, but now a part of Trimble. The good news is that there is still a free version of the software called SketchUp Make that can be used for any educational purpose, available for both Mac and Windows. There are also many other options available but based on our experience SketchUp Make could be a great first step in the world of 3D modeling for most people before going to something more powerful and serious in terms of features. Downloading and installing the free SketchUp Make software however is not all that you will need in order to be able to edit already available 3D models for printing or create and export new designs that you make. You will also need an additional plugin that will provide support for importing and exporting files in STL format – probably the most commonly used file format for sharing 3D models for 3D printers. STL (STereo Lithography) is a file format developed by 3D Systems, one of the pioneers in the 3D printing industry and it offers an easy and suitable solution for the needs of 3D printing. STL files contain only the surface geometry of a 3D object, there is no extra information about things such as color, material or texture available like in other 3D model files as you normally do not need such information for 3D printing. Of course you can also import more complex 3D models designed 3D visualizations and animations and convert them to a format that is suitable for 3D printing. 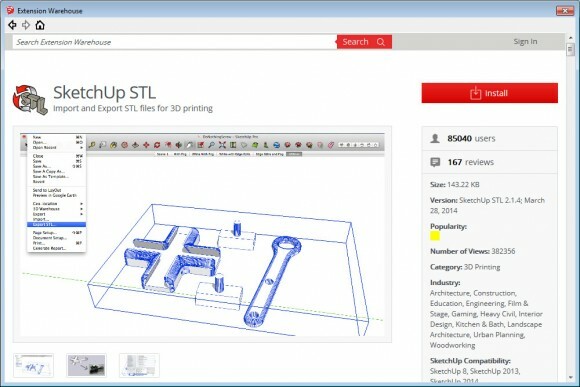 After the SketchUp STL Extension is installed you will be able to import and edit as well as export STL files that you can after that import into the 3D printer software you use to print the actual object. You should be able to see STereo Lithography Files (*.stl) option in the dropdown box for file type when you go to File / Import in SketchUp Make and also should have another option called Export STL… directly in the File menu (it is not inside the standard Export option of the software). 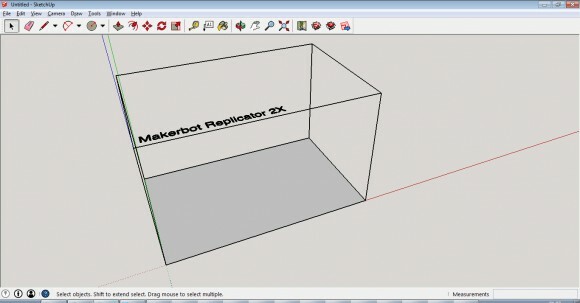 With this you should be able to start making your first steps in modifying an imported STL 3D model or creating your first own 3D model to print later on with a 3D printer. 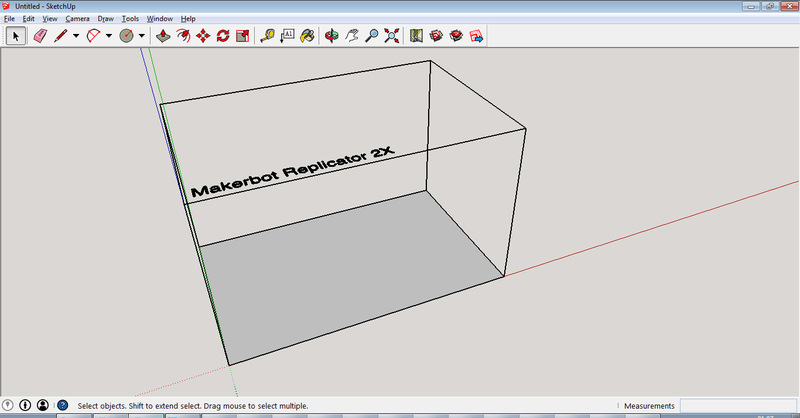 Do note that the SketchUp software comes with a template designed to make it easy for you to consider the available printing space, the template by default is made to cover the available printing size of a MakerBot Replicator 2X 3D Printer, so do not rely very much on the scale you have if you are using a different 3D printer.